Cualli tonaltin, all. 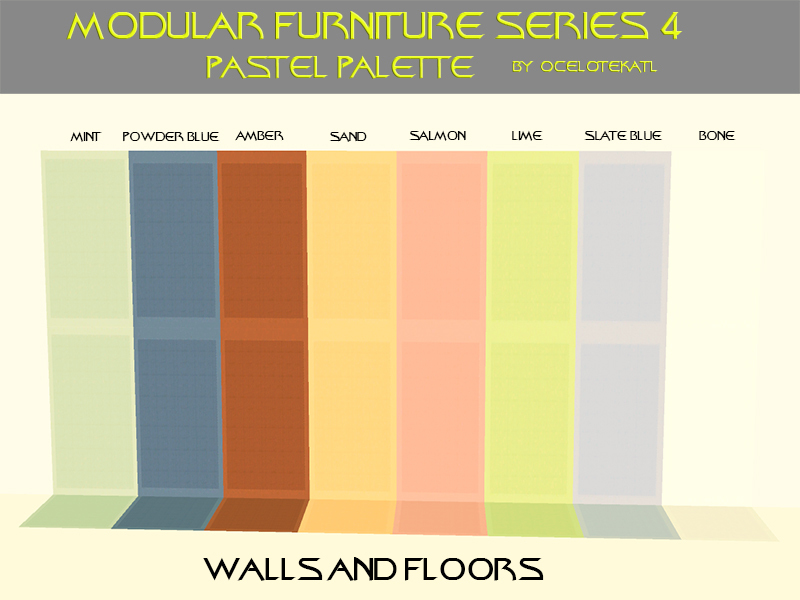 Here's a small set of walls, floors, and base recolors to lighten up your modular furniture a bit. The beauty is that because the entire set relies on the repository technique, the base recolors can be applied to 600+ objects. That is to say, every object in the set. While the original shades are great for dark, dingy places like cargo bays and corridors, they don't work quite as well for science labs, crew quarters, etc. These new colors will give your modular furniture a much-needed spring cleaning. I really like these pastel options. I think they will work out great for civilian and multi-species common areas. Thank you. Most definitely. The base colors are great for dark, dingy cargo bays and engineering sections, but not so great for sickbays and science labs. 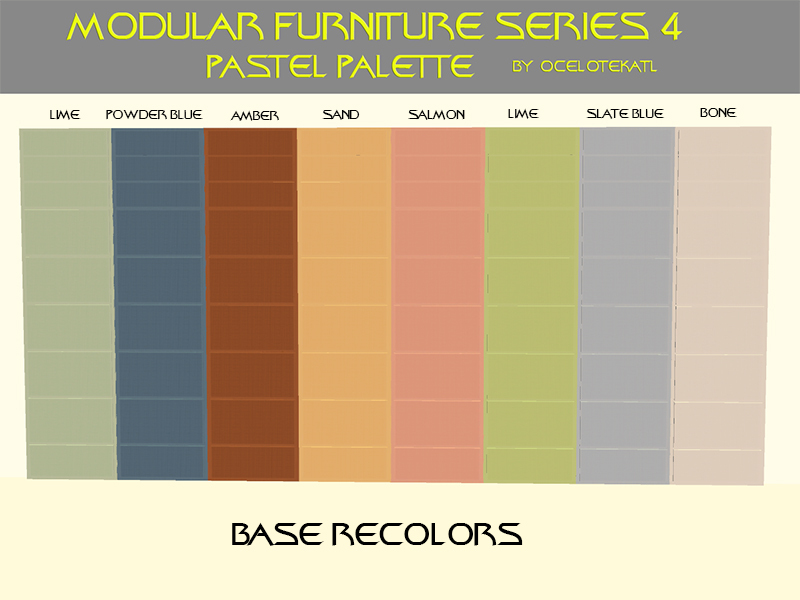 I've made a few truly beautiful sets for my story using these colors.